Correct exercise will maintain heart health, maintain joint function, improve mitochondrial health, retard aging, prevent osteoporosis, and reduce risk of degenerative disease. What is the best form of exercise? The type of exercise is very important. Two 45 minute very intense sessions per week will accomplish all these health goals. Primary heart rate variability, joint health, and mitochondrial health are improved. Many people exercise to lose weight, or build muscle, or trim up, and so on. We have three big primary objectives, crucially related to health. Now if you undertake an exercise program that accomplishes all this – we will explain exactly how – you will, in all likelihood, lose weight, build muscle, trim up, and achieve all of the other typical objectives. But for health purposes, keep the focus on our big three. There are 101 reasons not to exercise. Or perhaps you already do, and don’t want to change anything. We suggest you reconsider. We’ll provide several very useful exercise ideas that can help you develop a program that will achieve the above three objectives, and we’ll try to make it as painless as possible. Exercise has innumerable benefits. A major one is its ability to increase HDL and especially HDL2b, the ‘really good’ cholesterol. Elevating HDL sharply reduces heart attack and cancer risk. Likewise, IGF-1 and testosterone, two major anabolic hormones, are also increased with this type of exercise. These two along with others greatly promote cell renewal and repair, and retard aging. To develop a bright side to the eye-rolling, ‘you gotta exercise’ message, we offer some good news: it needn’t take that long. We are recommending two 45 minute sessions a week. The exercise activities in those 45 minute sessions are intense, and you will sweat and get sore, but it is over fairly quickly. Hopefully this has some appeal. 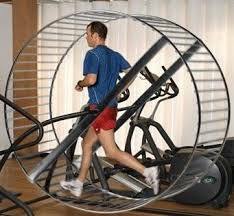 If you visit a gym, you will notice that a large percentage of the people are exercising somewhat like hamsters in a running wheel. These would be the people on the treadmills, stationary bikes, and elliptic trainers. This is aerobic exercise, and has been the ‘in’ exercise for quite a while. They are actually telling their bodies to go into an energy conservation mode. Little muscle will be built and little fat will be burned. These are not really very good exercises, though they beat sitting on a couch. They also take up a lot of time. Why do these exercises cause energy conservation? Unless these machines are used in some sort of explosive, concentric way, your internal energy manager, the hypothalamus, thinks you are migrating. The hypothalamus still thinks we are hunter-gatherers. The hypothalamus can actually detect what sort of exercise is going on, especially eccentric (walking, jogging) versus concentric (resistance exercise, weights, sprinting), and hypothalamus tags the eccentric movement as migration. Why would you migrate? Because you need to find a new source of food, so better conserve till you find it, and the hypothalamus duly turns on the energy saving mode. Jogging and walking fit the ‘migration’ category too. Pressing forward, you might ask, “Ok, they conserve energy, but still why are these not good exercises?” Basically with these machines you are training your heart and body to work at a constant rate and level. Your body will get very good and very efficient at this, but you will not be experiencing the entire range of exercise benefits. Further, a lot of this exercise is repetitive and hence a limited range of motion is repeated and repeated. Joint health, however, comes from full range of motion, and variation improves balance. Generally, there are two sorts of exercises that should be done. Fortunately these exercises are easier to do than to say. Squats are an ideal explosive (push up hard with your legs), closed-chain (complex series of motions, involving the brain), compound (involves a bunch of muscles), systemic (whole body) exercise. Besides squats, we can include dead lifts, power cleans, lunges, pull-ups and push-ups in this category. You can now impress your friends or any curious bystanders by calling these explosive, closed-chain, compound, systemic exercises. These are resistance like exercises. The explosive start and whole body involvement are crucial elements. Interval and anaerobic threshold exercises run your heart up and down. In interval exercise, maximum (or maximum safe) effort is applied for a short interval, say 20 seconds, then a 10 second rest. Repeat this a few times. If you did this on a rower and repeated it five times, you would spend 2½ minutes. Interval exercise can lower your heart attack risk 50%. Not bad for 2½ minutes of exercise. Anaerobic threshold exercise is more of a constant affair, where you strive to raise your heart rate to your anaerobic threshold and keep it there, while pushing at its boundary, for 10 minutes or so. What is your anaerobic threshold? Basically it is the level where your muscles just start to burn. This is likely to be the maximum exercise level you can sustain for a short period, say 10 minutes. This will improve with practice. The rower is a good machine for both of these exercises and further it is a predominately concentric and clearly whole-body exercise. So we have certain types of resistance exercise and rowing. Plan two exercise days a week, 3 to 4 days apart. Do 1 rower exercise and 3 or 4 of the explosive, closed-chain, etc., types. Start and finish the session with stretching and balancing. All this is going to take 35-40 minutes or so. You can spend the rest of the time doing curls or sit-ups or whatever strikes your fancy (Gym Rat Terminology: ‘curls for the girls’). If you spend 5 minutes lightly spinning on a stationary bike at the end of your session, you will be less sore. Now is also a great time to work on your Spiritual Discipline that incorporates ‘rhythm, movement, breathing and interior silence.’ Yoga, Tai Chi, The Rosary…whatever is right for you. Breathe and enter The School of Silence. Another excellent idea is to add a third day devoted to flexibility, coordination, and joint health. Think in terms of foot-speed, hand/eye coordination, balance: consider this the brain training day. This could involve things like martial arts, tossing medicine balls, balancing on a ball, hitting a speed bag. We don’t feature aerobic exercise here. 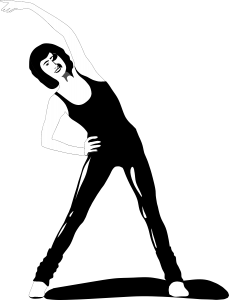 Aerobic is exercise at a level you can sustain for a long time, half an hour or more. 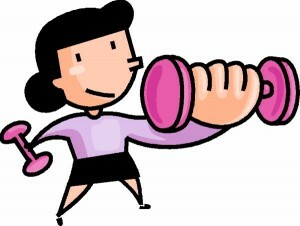 The ‘aerobic’ part means that you are able to supply your energy needs with oxygen and stored fat. Aerobic is less intense than anaerobic, and anaerobic is less intense than intervals; but it is related. Remember the best aerobic exercise isn’t really exercise at all but is still good for your mind: take a leisurely walk. 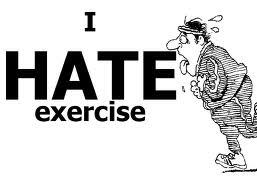 Just don’t think of this as exercise as it does not effect meaningful metabolic change. It does, however, improve your mind. You should get a green light from your doctor before undertaking any of this. If you have heart issues, your doctor may advise a slow start to both resistance and interval exercise. This is sound advice. The advice you should reject is doing some other sort of exercise, like brisk walking. Brisk walking trains your heart to run at a steady pace, sends a message to your hypothalamus that you are doing something akin to migrating. Further, this does nothing for bone strength. These aren’t the directions we want to head. The next post in the Exercise Series will describe exactly how to do these exercises and how to measure your progress. Following that will be a post of the expected benefits. Really great post! Thank you for time for writing it all. Saved all the time and hassle to gather such excellent facts together – not even every trainer could explain everything in such professional order and I have it all now just at a click on the keyboard! Quite a lot to learn just to follow it all correctly. Not really bothered about aerobic – walking does just the same effect. But the real exercises are those, which are truly good and important for health (No.1) and those, which will improve (even already good enough) shapes of the body parts (No.2). Can’t wait for next post! It’s like a sweet honey! Still at the reading stage – again and again – can’t have enough of it! What a thoughtful author to write this post. Very detailed description of the exercises in precise order would be so much appreciated. Then theory will go into practice. I think I am fit enough, but agree to show this to my doctor. Regarding intervals: do you feel, in your experience that there is an optimal work / rest ratio? I know there probably isn’t a simple answer, but in your patient profiles, were there any “patterns” that emerged? When performing these types of intervals, what level of recovery would you expect during the 10s rest phases? I know that from logging data, my average peak will increase from interval to interval, but the 10s recovery may only be 3-5 beats. Would that be typical? For example, on my last exercise day (using stationary bike setup) I did a 5min warm up – 7min constant speed at anaerobic threshold – 2min recovery – 5 bouts of 20s all out, 10s rest. On the 20/10, I had peak heart rates by round 3 (~175) with 3-5 beat recoveries in between. Thanks, and no need to apologize. Your advice is truly appreciated and I completely understand the limitations of analysis via a blog setting. To your comment about effect of the intervals on HR for the remaining workout – that is the area I am now looking into. Currently performing dead lifts and squats following the 20/10 intervals. Following a set of deads or squats, I press my Polar “red” button after last rep of each set and wait ~15 beats until starting the next set. Now I plan on going back through some of the historical data to see what the length of time to 15-beat recovery is as well as shape of the time to peak and time to recovery. When are you going to post the description of “how to do these exercises exactly?” Or have you, and if so, please tell me the date so that I can find it. Hello Mike. Are there any suggestions for exercises that can be done for people like me that have a bad back due to disk bulging with ligamentum flavum hypertrophy and facet joint hypertrophy and quite marked spinal stenosis particularly of the subarticular recesses and compromise of the takeoff of both L5 nerver roots within the subarticular recesses. My doctor advices to walk or swim. Thanks. Due to deterioration and stenosis of the lower spine I have been advised that exercises that compress the spine should be avoided. That deletes squats, dead lifts, power cleans and lunges with weight from your list. Are there any movements that can be substituted such as leg presses on a machine? Would lunges without weight be satisfactory? With rowing, push ups and pull ups still acceptable, I would like to find at least one or two more explosive types to meet your minimum of 3 or 4. Have you had any experience with exercise methods put forth by Dr. McGuff? Do you have an opinion related to the “super-slow” exercise protocol? I am. For now the short version is this: the very metabolic changes we seek are available only through ballistic movement. I do not mean there is no value to slow movement – great for neurological pattering for example – but not for metabolic improvement. Thanks – Also, when you speak of ballistic movement, what really defines the exercise or movement as ballistic?